By Xah Lee. Date: 2010-04-20 . Last updated: 2010-12-29 . One of the Millennium Prize Problems is solved, by Grigori Perelman (born 1966). The Millennium problem is a award of 1 million dollars for solving any one of the 7 most important math problems, proposed by the Clay Math Institute. 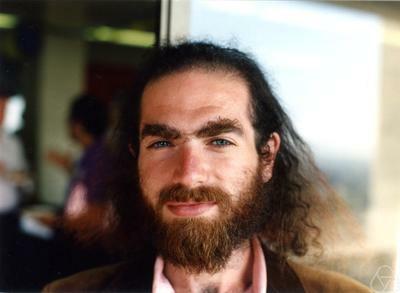 Who is Grigori Perelman? This guy, lives in poverty, and solved one of the millennium problem in 2003. He is awarded the Fields Medal in 2006, which is highest recognized award for math, comes with $15k USD, but he declined. This behavior i very much understand, and is something i'd do too. $15k? what a peanut. That's barely enough for 1 year's subsistence in most developed countries. However, now in 2010-03-18, Clay announced that his work also qualified their $1 mega USD award. Would he still decline it? Not sure if he made a decision yet. I wouldn't decline. For practical considerations, awards of cash is a practical, substantiated, recognition, as opposed to political or mouthing ones. (Nobel is one of the worst f￼ck, especially with their Peace department) Sure, if you are haughty and or with a ascetic life style, you can still decline. I wouldn't. Even living in a ascetic lifestyle that's technically below poverty, i'd still enjoy the security of permanent supply of bread and butter, and mostly a shelter. And even if one does not need the money, he could turn the money to orgs he consider worthwhile, or whatever causes he sees fit for improving society. He earned the money.